I often have people say Natural Rights do not exist. Then they point to something like the Earth and state the Earth is a sphere – that is real, the mass of the Earth is real and can be measured, but the Right to Property or the Right of self ownership are not real, they don’t exist in nature and there is nothing natural about them. A similar complaint is that Natural Rights are subjective, while the mass of the Earth is objective. This sort of argument represents an extreme empiricism point of view and confuses objective with subjective with volitional. Here are the definitions of these words from web based dictionaries. Volition: 1) the act of willing, choosing, or resolving; exercise of willing: She left of her own volition. 2. a choice or decision made by the will. Note that a choice can be objective or subjective but both are exercising one’s will. One can choose to not believe the world is a sphere (technically a spheroid and not a perfect spheroid). One can choose to ignore the objective facts and contend the Earth is flat. This does not make the decision to understand the Earth is a spheroid subjective. Note the Catholic Church choose to believe the Sun rotated around the Earth, despite the objective facts. Global warming (AGW) prophets ignore the facts every day. It is clear that just because something is volitional does not make it subjective. But what about Natural Rights or ethics, there are no objective facts involved according to these people. As we established above, just because something is volitional (i.e., a choice) does not make it subjective. Euclidean Geometry (EG) is not based on any objective facts. It is a purely logical system and devoid of any empirical facts, does that mean it is subjective? There have never been any two perfectly parallel lines that go on forever and finding or not finding such lines is irrelevant to EG. Does this mean that Euclidean Geometry is subjective? Does it mean it is not real? Well the answer to any problem in EG is not based on personal feelings or opinions, it is based on facts, but not empirical facts. But is EG real? Well certainly the mathematical system of Euclidean geometry exists. You might object that EG is not based on empirical facts, but it is influenced by them. Two perfectly straight parallel lines might not exist in nature, but close representations of them do exist and are used in construction and numerous other area’s every day. The extreme empiricist wants to deny any higher order concepts exist. So to the extreme empiricist the number four does not exist. Four oranges exist and four nails exist, but four does not exist. This sort of thinking, would deny the existence of gravity. Things fall to the Earth and the Earth rotates around the Sun, but gravity is not an empirical fact; it is a scientific theory. A scientific theory is a model of nature that explains and predicts many different empirical facts. 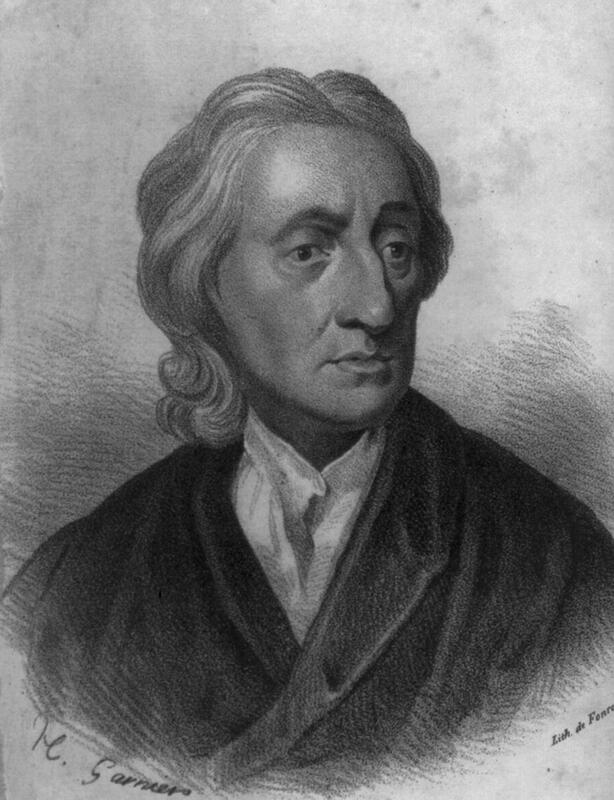 Locke explained Natural Rights in terms of a “state of nature.” He stated that when man lived by himself, he necessarily owned himself and the products of his labor. Locke’s theory of Natural Rights explains why slavery is illegal, where property rights come from, why theft, murder, and assault, are illegal. Almost all of our common law is based on Natural Rights. It is an extremely powerful theory, much like Newtonian gravity and motion, or evolution. The Marxists attacked Locke based on the idea that people lived in groups. This is an intellectually dishonest sleight of hand. Locke was not making an empirical argument, he was making a logical argument. It is the same as Euclidean Geometry starting with the idea that two parallel lines never intersect. The power of Locke’s ideas is undeniable. The results were the creation of the industrial revolution, unparallel reduction in human suffering, the elimination of slavery and the elimination of force as an accepted method of settling disagreements. Ayn Rand explained that values are only possible to living things, because life faces the metaphysical choice of life or death. Ethics is the selection of those rules consistent with life. The ethics of a human being are different than the ethics of a tree. Man is the only species that does not have a built in ethical system or instinct. Man is volitional, so he can choose an ethics of death. However, such an ethical system is a contradiction in terms, since only something that is alive can have values. Ethics is based on the fact of life and the only logically consistent ethical system is one that chooses life. Humans are rational animals and therefore must have an ethical system consistent with their nature. Since reason is a personal attribute (not collectivist), ethics is about a set of rules that allow individuals to exercise their attribute that is necessary for survival. Thus any ethical system that limits or undermines man’s reason is inherently an ethics of death, which is a contradiction in terms. This means that man must own himself, because the ability to think without the ability to act is meaningless. Now we are back to Locke. Natural Rights and ethics are based on objective reality. You can choose to ignore these facts, just as you can choose to ignore gravity, but you cannot escape the reality that to do so is to choose death in both cases. Judge Napolitano has written an excellent book on Natural Law from the perspective of an attorney. He attacks legal Positivists, who believe the law is whatever the government says it is. He points out the moral bankruptcy of Positivists by pointing out that they have no logical basis to be against Hitler’s final solution of wiping out all Jews – since it was a validly passed law. He also rejects the non-sense of “majority rule” or Democracy. Only man-made theories for what those rules are and how the operate may change. However, without an explanation or understanding, those rules remain just as “true”: Penicillin will combat certain infections, and gravity will always pull things toward the center of the Earth, regardless of whether or not we understand how. Truisms reject moral relativism, and American Exceptionalism. They compel and understanding of the laws of nature that animate and regulate all human beings at all times, in all places, and under all circumstances. And truisms equal freedom. 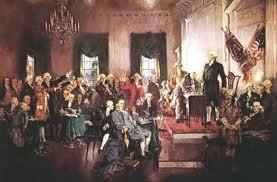 The book starts off with the Declaration of Independents. It moves onto eminent domain issues where the judge has a number of illuminating points. I particularly liked the freedom of association chapter. Napolitano I think is one of the few people to write about this issue. I also found the right to petition chapter illuminating. I believe that only someone with Judge Napolitano’s legal background could have done this chapter justice. His chapter on the growth of the Defense Industry was illuminating. While I did not agree with all his points, he makes it clear that the Defense Industry has grown completely out of control. According to the Judge the US military is in over 130 countries. The quote from Fredrick the Great comes to mind “in trying to defend everything he defended nothing.” The US military has become just another welfare/crony capitalism project. The military will complain that defense spending as a percentage of GDP is less than it was during the Korean War. However, we did not have the Department of Homeland Security, the Department of Energy, the Border Patrol, etc, which are all really part of our defense spending at the time of the Korean War. Unfortunately, the book is marred by two problems. I am in complete agreement with the Judge’s emphasis on Natural Law, but he defines it in terms of “essential yearnings.” Someone might have an essential yearning to torture people or kill them. That does not make it a natural right. It is enough to state that people have ownership of their body. The rest of Natural Law and Natural Rights flows from this simple concept. Once I own myself, I clearly own the product of my labor which leads to all of property law, including patents. Criminal law comes from violating my rights in my body or in my property. The “essential yearnings” adds nothing to the concept of Natural Law and Natural Rights. The second problem with the book is Judge Napolitano’s analysis of fractional reserve banking. The Judge and some Austrian economists incorrectly state that fractional reserve banking allows banks to create money out of nothing. A fractional reserve bank is a bank that lends out part of its depositors money. Fractional reserve banking is how all modern banks (since at least 1750s) operate. Wikipedia defines a Fractional-reserve banking as a type of banking whereby the bank does not retain all of a customer’s deposits within the bank. Funds received by the bank are generally on-loan to other customers. This means that available funds (called bank reserves) are only a fraction (called the reserve ratio) of the quantity of deposits at the bank. As most bank deposits are treated as money in their own right, fractional reserve banking increases the money supply, and banks are said to create money. Modern banking started in the early 1600s with the Bank of Amsterdam. Merchants could deposit coins with the Bank of Amsterdam and use this account to pay for transactions. Using checks, a merchant’s account was debited and another merchant’s account was credited. This meant that coins did not have to be transported from one merchant to another with the attendant risk of theft and loss or the cost of transportation. The Bank of Amsterdam was just an exchange bank that facilitated transactions between merchants. Next came the Swedish Riksbank established in 1656. The Riksbank was not only an exchange bank, it also lent money making it the first modern fractional reserve bank. Fractional reserve banking is the banking practice in which banks keep only a fraction of their deposits in reserve (as cash and other highly liquid assets) and lend out the remainder, while maintaining the simultaneous obligation to redeem all these deposits upon demand. Commonly, loans are made against collateral such as land or jewelry. … Some people believe fractional reserve banking creates money out of thin air, but what really happens was the money for these loans were backed by some collateral other than coins or bullion. The downside of other types of collateral is they are not as liquid as species (coins, bullion). As a result, if large numbers of customers of a fractional reserve bank wanted species (currency) at the same time, the bank would not able to fulfill all its customer’s demands. This is a classic run on a bank. A run on a bank is a cash flow issue. A sound bank may have plenty of collateral and performing loans, but if most of its customers demand species at the same time it will not be able to fulfill these requests. Fractional reserve banks free up capital from low performing assets so that they can be invested in higher performing assets. For example, if you owned a large tract of ranching land that was not highly profitable but represented a large amount of capital and you want to invest in an oil well, without fractional reserve banking you would have to sell some of the land in order to invest. With fractional reserve banking you could convert your land into a generally accepted form of money, by pledging your land as collateral to a bank for a loan. In the modern world, the loan to you is just a computer entry in your bank account. It is clear from history that fractional reserve banks are not some sort of government institution, like the Federal Reserve. Without fractional reserve banking it is would be very difficult to securitize (Collateralize) many assets, such as houses and land. This would significantly impede the economic growth of a country. Logically if you are against fractional reserve banking you should be against a stock market. Both are just a way of securitizing assets. The stock of paper money act as a claim against various assets and/or future earnings.